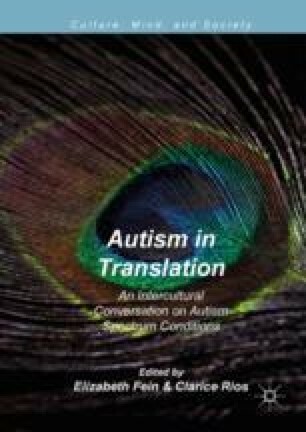 Autism understood in cultural context is as essential as autism understood as a neurological condition. Psychological Anthropology (PA) includes the comparative, contextual study of culture and mental life. PA aspires to be holistic, open to plural mixed methods, comparative, collaborative with other disciplines, and inclusive across the levels of analysis. This essay considers six themes in PA that also are reflected in the chapters in our volume: difference is both biological and social; diverse experiences of disability are central; cultural beliefs regarding disability vary widely around the world; disability is connected to other differences in society, including deprivation, exclusion and vulnerability due to race, class and resources; social and sociolinguistic mechanisms that are important for understanding disability also are important for studying many other topics in PA generally; and diverse family and parenting practices and everyday routine activities are important in the field of PA, perhaps especially so for ASD, as are the institutional and structural conditions in society that condition daily routines. The contributions of PA—particularly ecocultural theory, cultural models, and explanatory models of illness—are important for theory, methods, and empirical outcomes for autism spectrum conditions, and open up possibilities for new approaches to ASD.